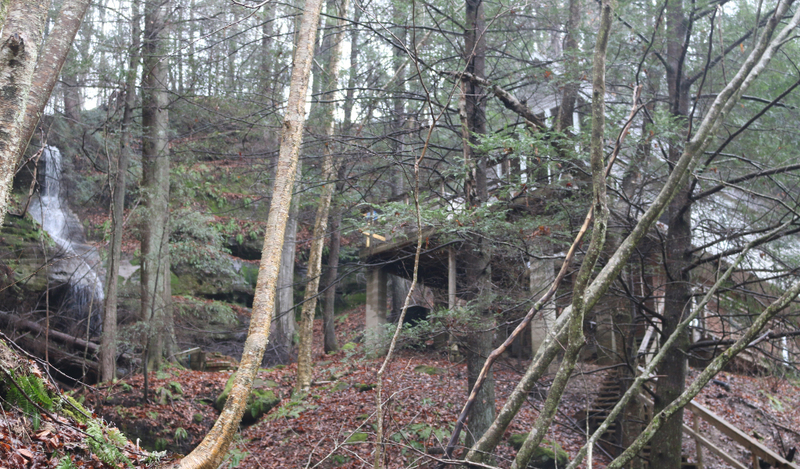 Tree house at the Falls is located in a private gorge surrounded by lush fauna and flora, waterfalls, rock formations and outcroppings. 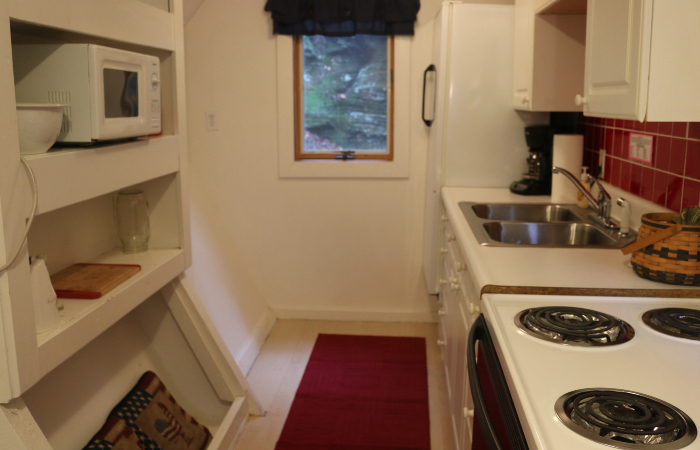 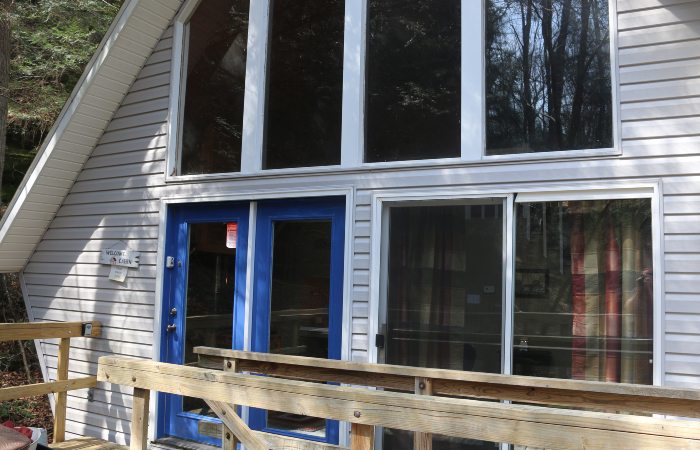 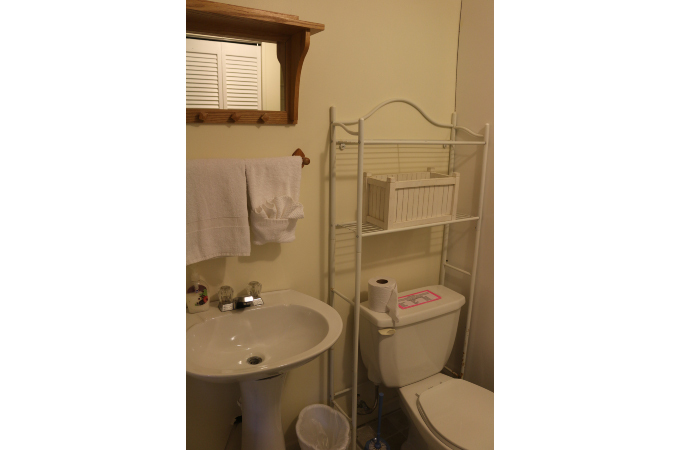 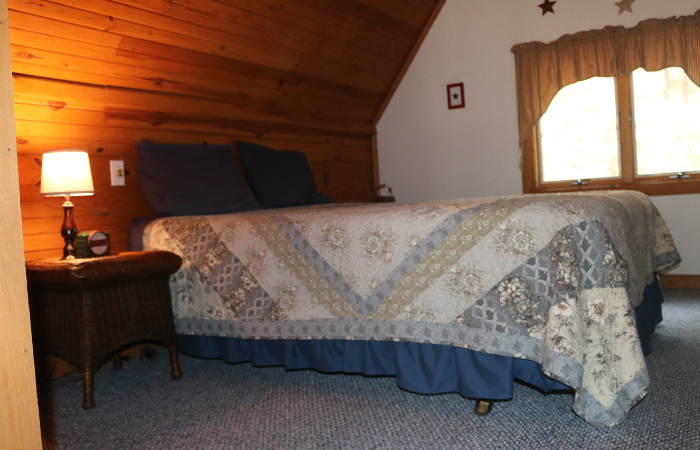 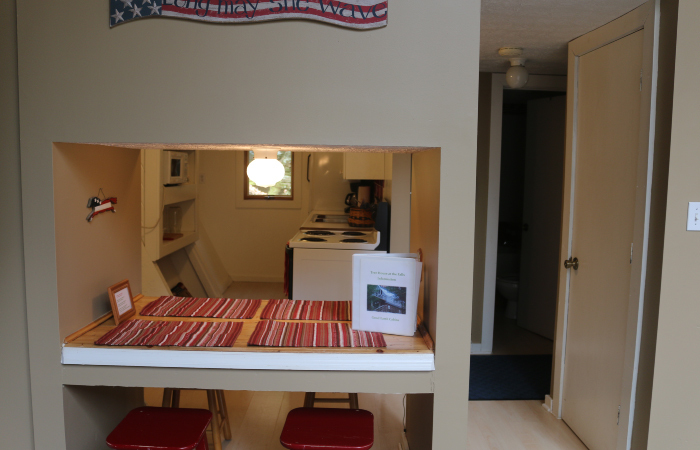 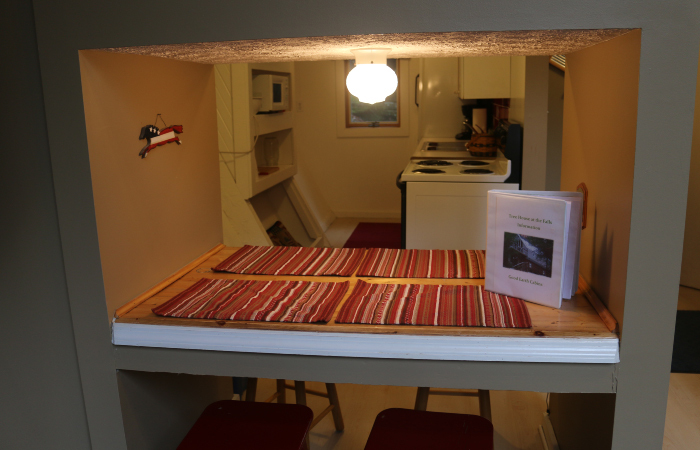 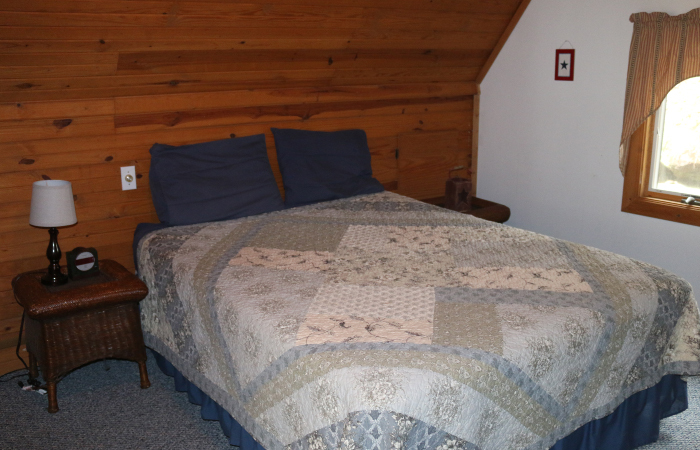 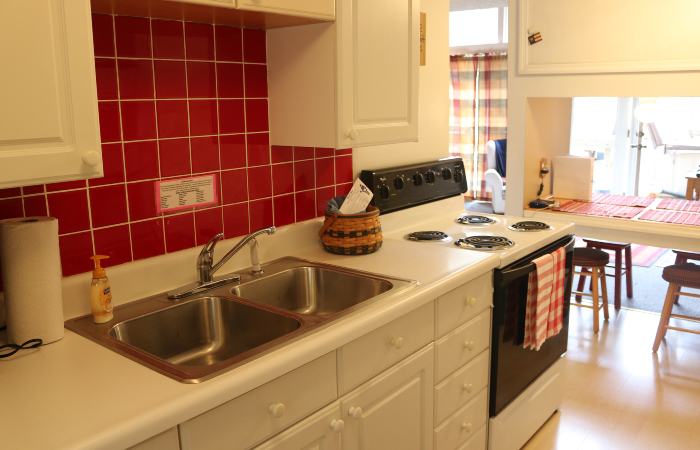 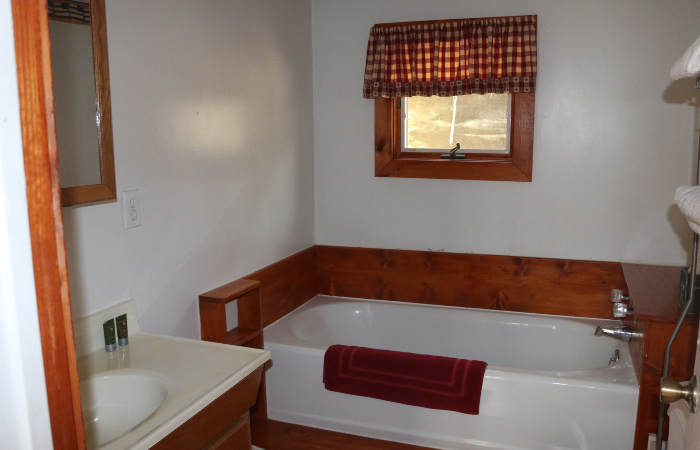 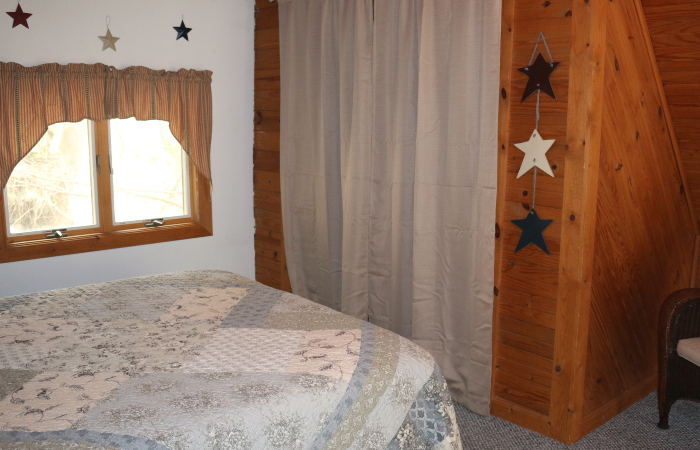 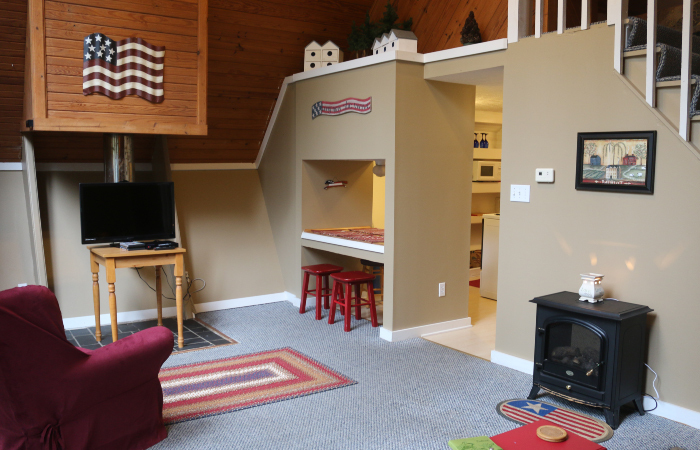 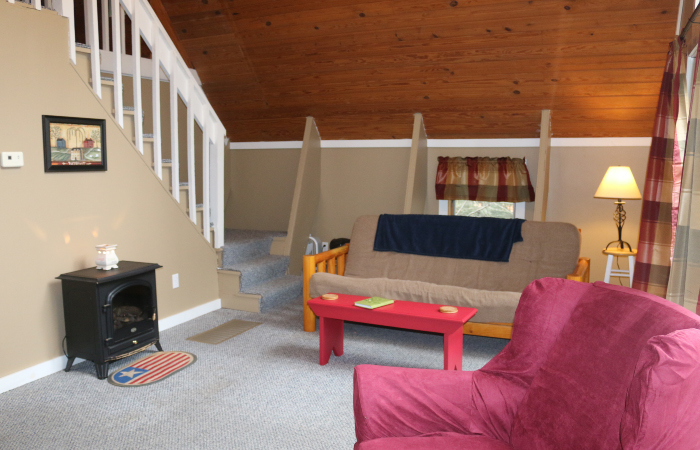 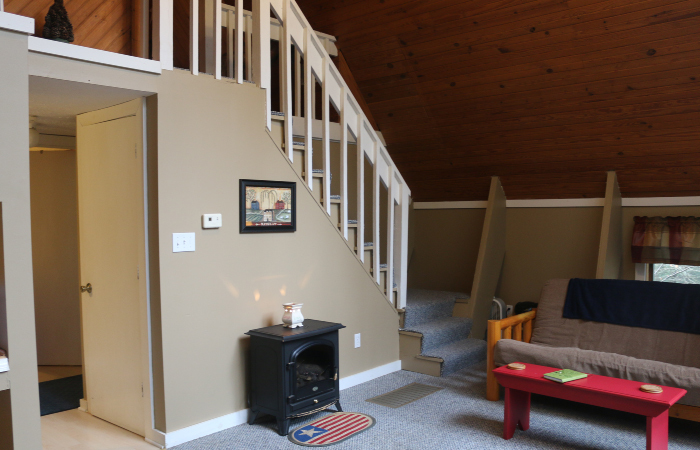 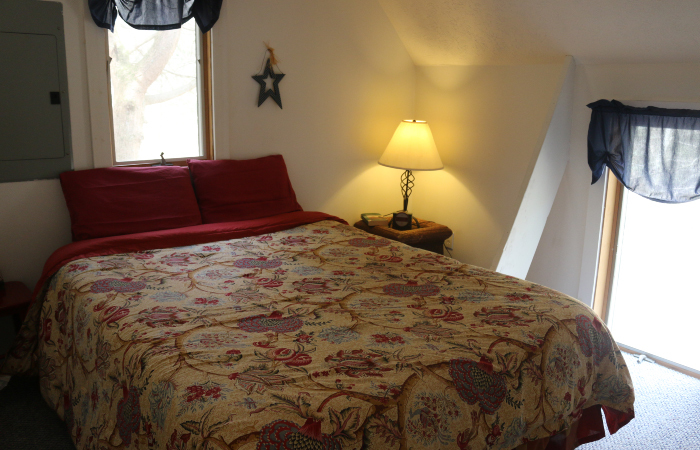 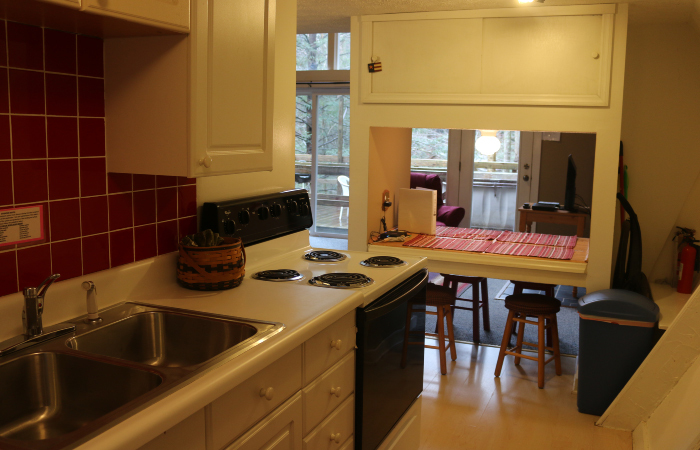 The cabin has 2 bedrooms and 2 baths. 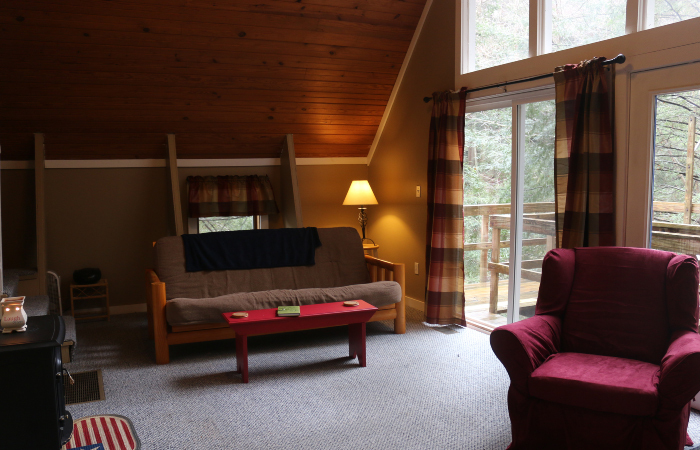 Comfortable and peaceful view from every window. 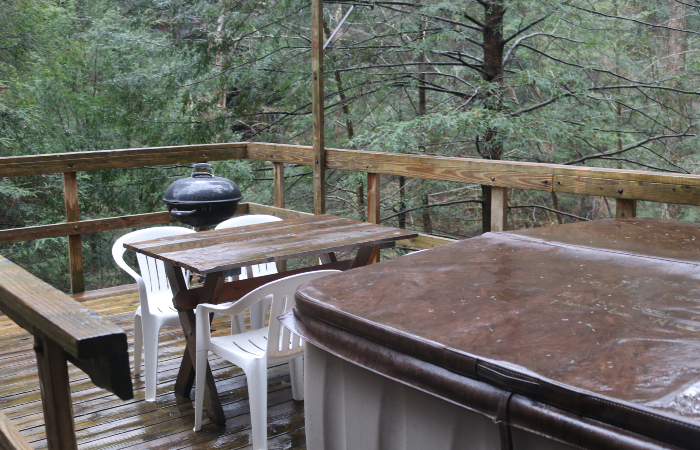 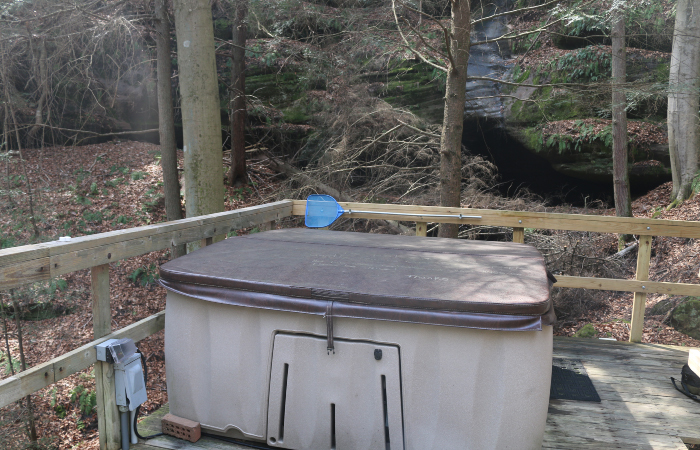 Free WIFI, hot tub on a large deck with view of waterfall and cave. 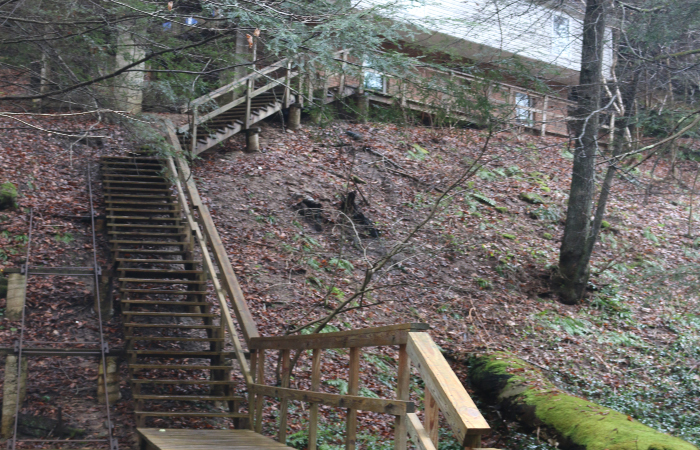 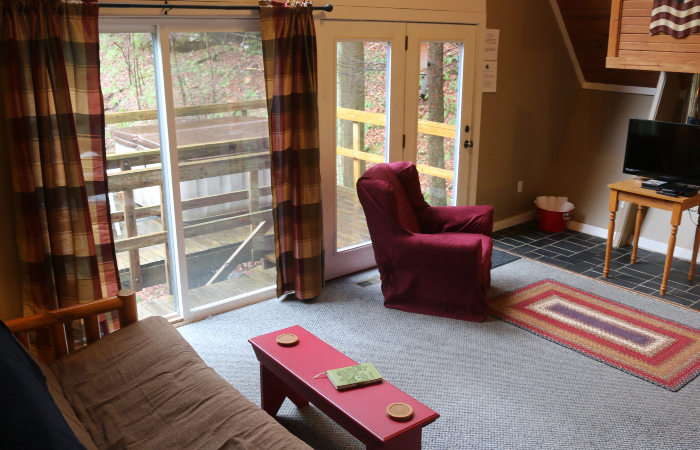 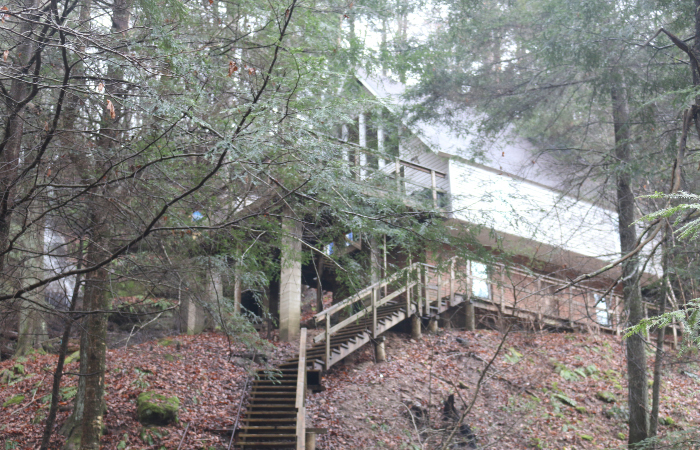 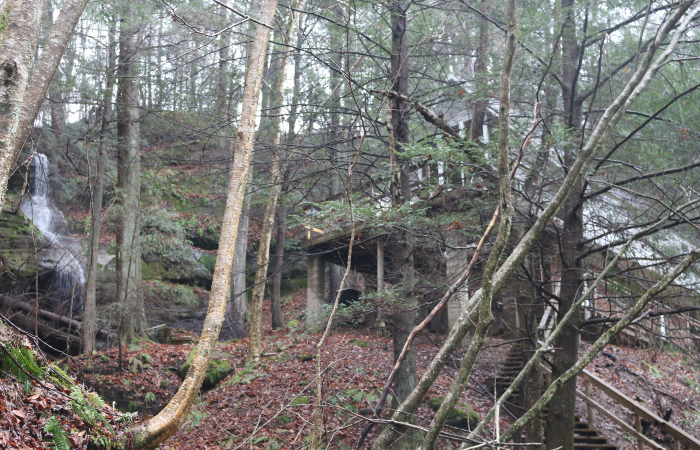 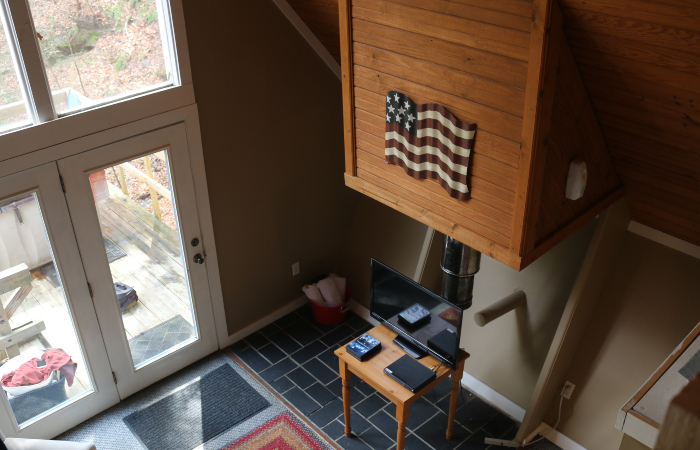 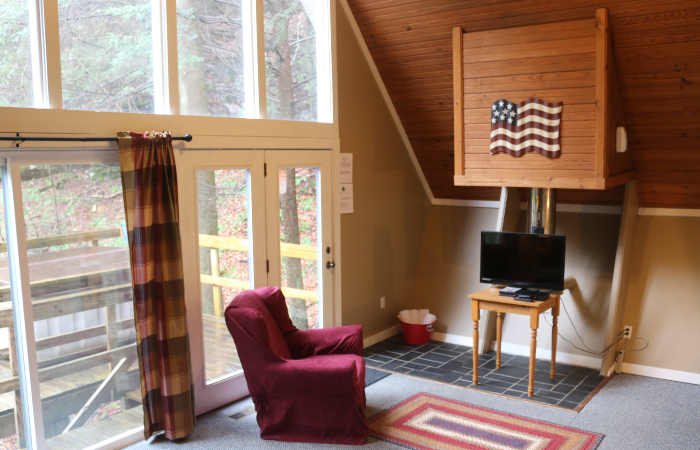 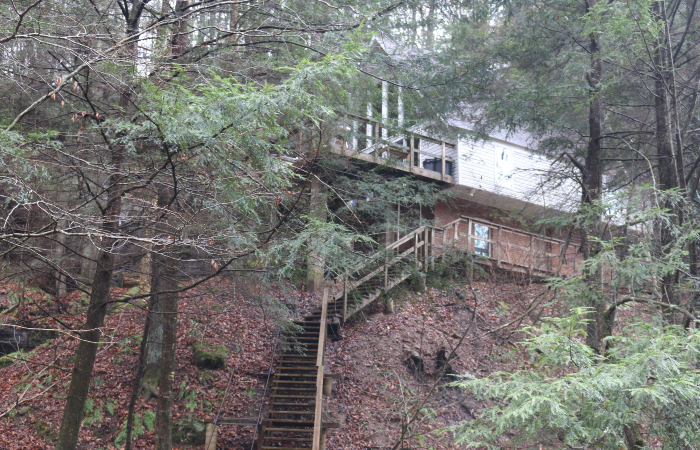 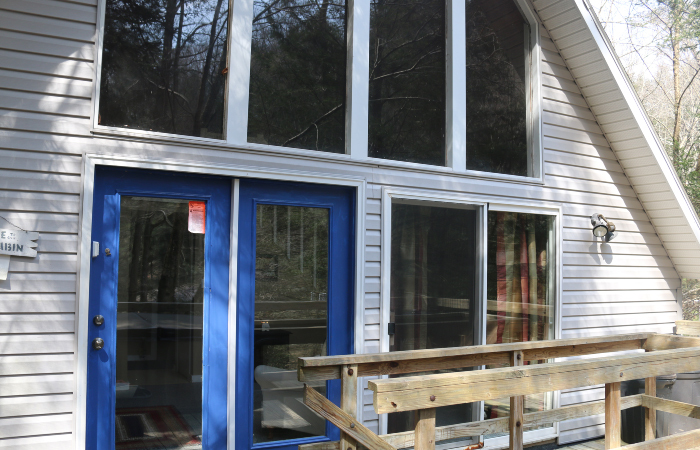 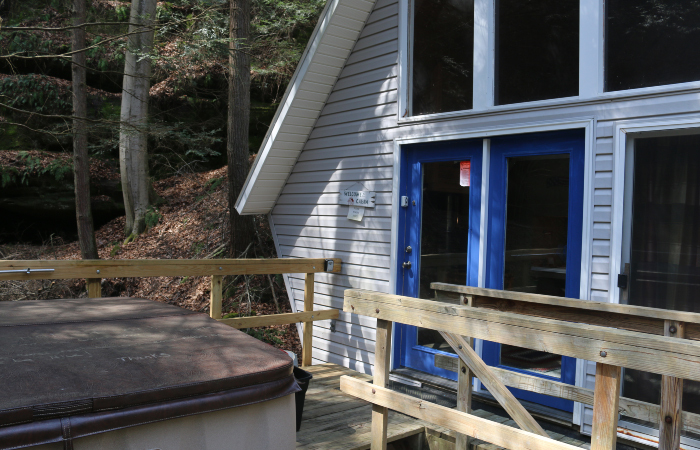 The Tree House is your private Hocking Hills retreat. 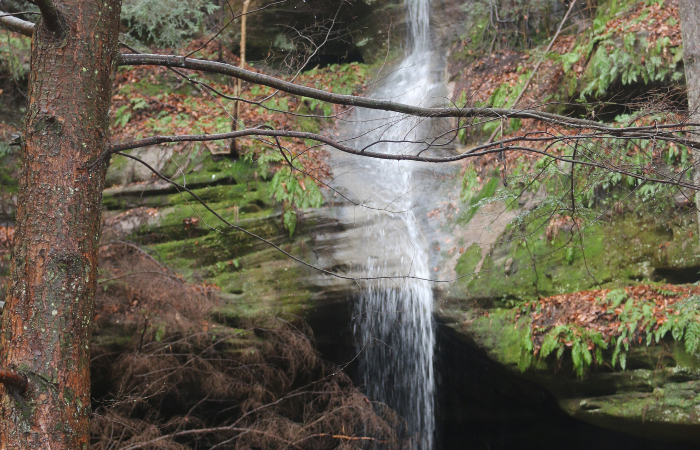 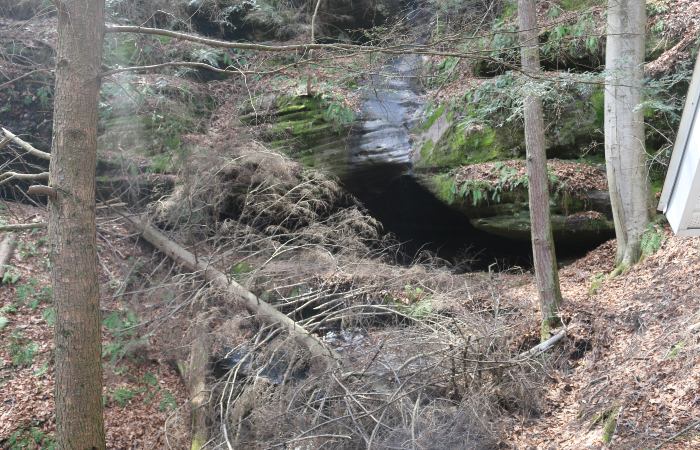 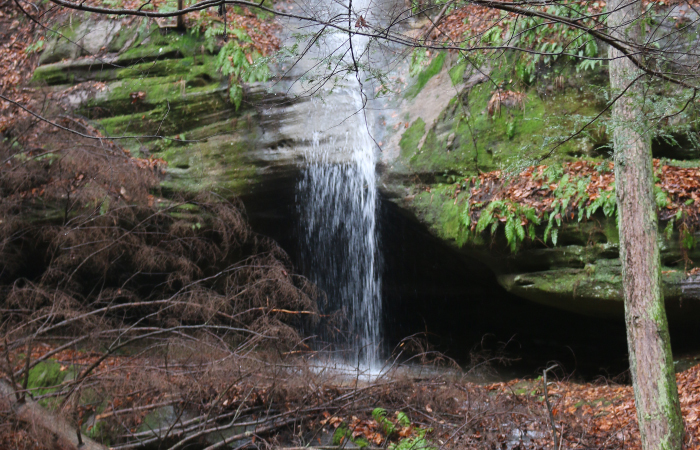 Each visitor to Hocking Hills has been extended an invitation to witness our Earth’s magnificent beauty and to recognize Her extraordinary ability to give so much and ask nothing in return. 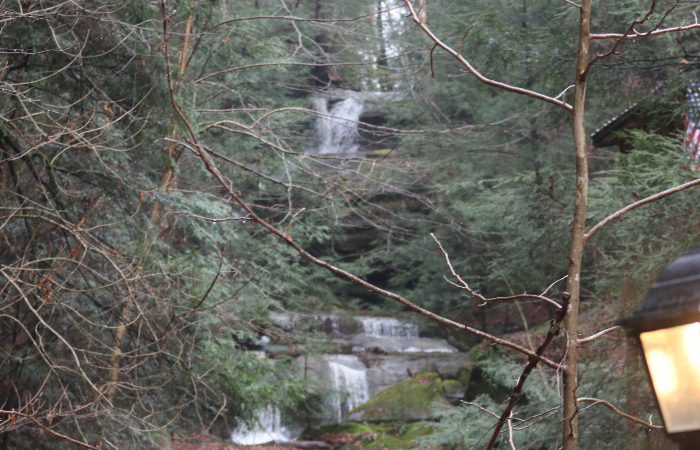 This land and these hills are filled with enchantment and magic. 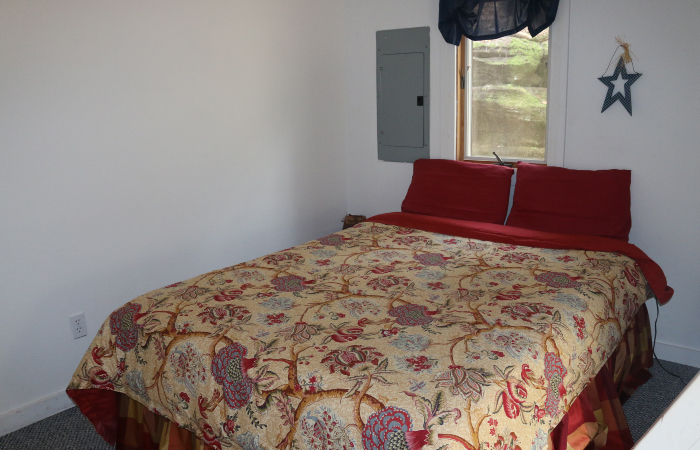 Our wish for each of our guests is to feel that magic and to obtain a genuine connection to this truly extraordinary place. 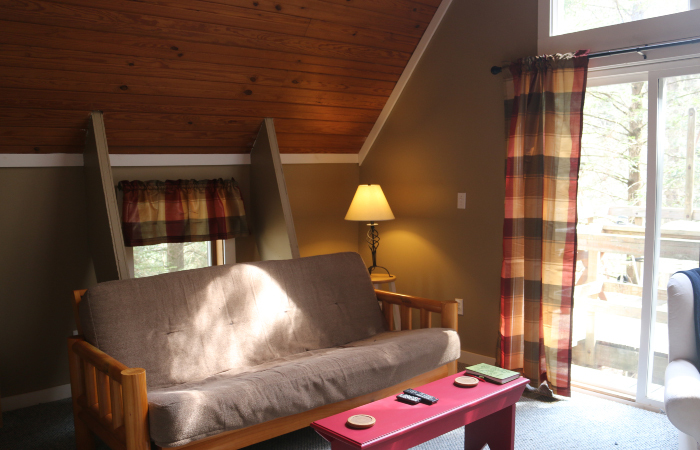 Click here to Purchase Gift Certificates!